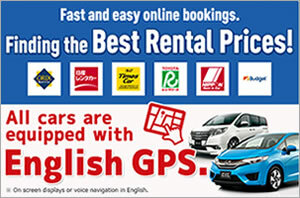 Compare and get the best car rental offers from the leading car rental companies in Japan. Booking with Tabirai will allow you to save money for your budget. Is everywhere in Japan within easy access by public transport? No, it is not. The regions that boast a majestic view of nature, such as Hokkaido and Okinawa, have dotted tourist destinations in the far distance from train stations or airports and the buses run only a few times a day or less. So, the convenient way to travel in those areas is to use a rent-a-car, which is almost essential. 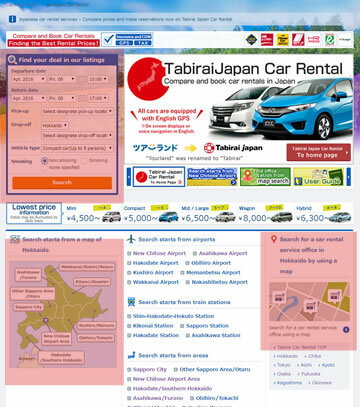 The online car rental booking website Tabirai allows you to find the best offers from car rental companies in Japan, will allow you to get a better deal than booking directly through the car rental company. 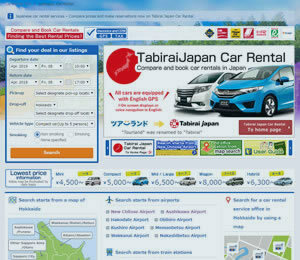 Why choose Tabirai Japan Car Rental? 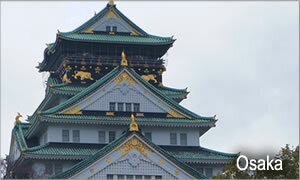 To hire a car in Japan, search and booking websites are available as well as booking directly with car rental companies. The system is equivalent to those of hotel search/booking websites such as Expedia or Booking.com, allowing users to get better deals than making direct reservations. Tabirai Japan Car Rental is the one of those car rental booking websites and is the best selected for your budget and convenience. The rate includes; Rental fee, Basic insurance fee, Collision damage waiver (CDW), Navigation system and Consumption tax, so you can have peace of mind when booking. 1. Search from conditions; Date, Type of vehicles and Place to pickup/drop-off. 2. From the list of search results, compare and select the best one that fits with your needs. 3. Confirm the details. *Options such as baby seat or child seat rentals can be arranged. The map of pick-up offices is also shown in this page. 4. Proceed to booking. It will be done shortly! Fill in the necessary information; your name, email address, phone number and your flight number. Now all you have to do is just pick up your vehicle on the day you reserved. * Member registration and credit card information are not required when booking. * When the booking is completed, the reserved vehicle is kept in stock for you. No reconfirmation is necessary. Using "Reservation Info Box" on Tabirai website allows customers to confirm the reservation, make the cancellation, as well as sending messages to the rental car company. In addition to the advanced search box, the map search is also provided on pages by area, Hokkaido, Okinawa, Fukuoka, Osaka, and more. There are also location maps allowing you to search pick-up/drop-off offices in the area of your destination. Here are some tips to enjoy your drive with a rent-a-car in Japan. You will enjoy a great drive out side of cities. Downtown areas usually have narrow and often congested roads. The toll roads in Japan are expensive. Select regions where you can travel by car without taking many toll roads. Use a rent-a-car in areas with little public transportation and it is time consuming to reach. 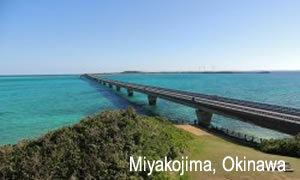 You will take a great drive in the region having superb coastlines like Okinawa!! If you want to travel from major cities to a region in the distance, it is better to take a public transport first and go to train station or airport in the area of your destination, then take a rent-a-car there. In case of getting to Hokkaido from Tokyo by car, for example, it takes at least 17 or 18 hours and highway tolls and ferry crossings will cost a lot. So, the most popular way is to take a flight for New Chitose or Asahikawa Airport and hire a car at the car rental office located there. 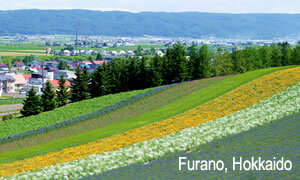 It will be a 40-min, exhilarating car ride between Asahikawa Airport and the scenic town Furano. Since Hokkaido prefecture is much larger than other prefectures of Japan, it will be better to have at least 2 or 3 night stays to enjoy a trip. In Okinawa prefecture, the island chains in the south of Japan, a car rental is the perfect way to travel and enjoy the view of the beautiful coastlines. You will get a great feeling from driving over the bridge that crosses the blue ocean between Kouri Island and Okinawa Main Island. Opened in January 2015, the Irabu Ohashi Bridge between Miyako Island and Irabu Island is Japan’s longest bridge with a length of 3540m, connects the five small islands. In Okinawa it is convenient to pick up your rent-a-car at airport. There are airports on Okinawa Main Island, Miyakojima Island, Ishigakijima Island and Kumejima Island, and direct flights are available from Tokyo.